BONG Ramos is set for a PBA comeback as he comes on board Blackwater to take over the coaching post from Leo Isaac. Ramos arrived from a coaching stint in Indonesia on Monday and will be formally introduced to the team as the new coach when the Elite converge for practice on Tuesday at the SGS gym in Quezon City. Before the 57-year-old Ramos presides over his first team practice, Isaac will meet the Elite for the last time to thank the team and say his parting words. Isaac and the Elite parted ways the day after Blackwater suffered a third straight loss in the PBA Commissioner's Cup, bowing to Alaska, 93-74. 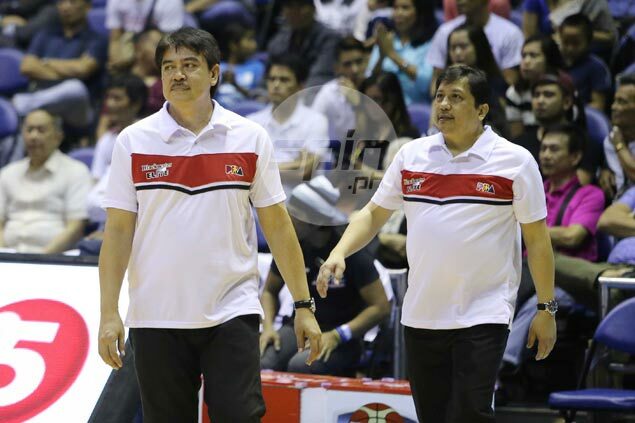 Blackwater representative to the PBA board Siliman Sy admitted it was hard letting go of Isaac, who served as the team’s original coach when it entered the league as an expansion franchise in 2014. “Ang hirap especially for someone like Coach Leo who was really close not only to the company but to the family as well,” he related to SPIN.ph shortly after holding a meeting with Isaac on Monday afternoon. Following the meeting with Isaac, Sy also met with team manager Johnson Sy, who was likewise let go by the organization. Former player Joel Co will take over the post on an interim basis. Ramos served as deputy to Isaac for two years until last season when he decided to have another coaching stint in Indonesia, where he has carved a name as a champion coach in the Indonesia Basketball League (IBL). He also previously acted as head coach of FedEx, Air21, and Barako Bull.